If you want an agent or manager, you need to know the rules of that business relationship. This call will give you the rules, the reality, and the roadmap that will get you in the door and to the point of being a represented writer. "This call changed my whole vision, plan, and focus." - Strategies that came from over 100 interviews with agents and managers. - The fundamentals of landing an Agent or Manager. - The four mistakes everyone advises writers to make with agents! - 8 Strategies for Landing a Manager or Agent. What do writers say about this call? "Really loved the 'practical' tips on obtaining and working with an agent/manager. Rules of Engagement and the Eight Strategies were the best. 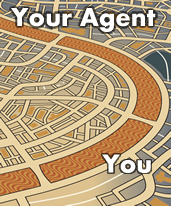 Filled with excellent, practical tips on not just obtaining an agent/manager, but how to work with them." "I loved the step-by-step process of you leading another screenwriter through to achieving his goal of representation." Crime Movie Scripts: Free Downloads!